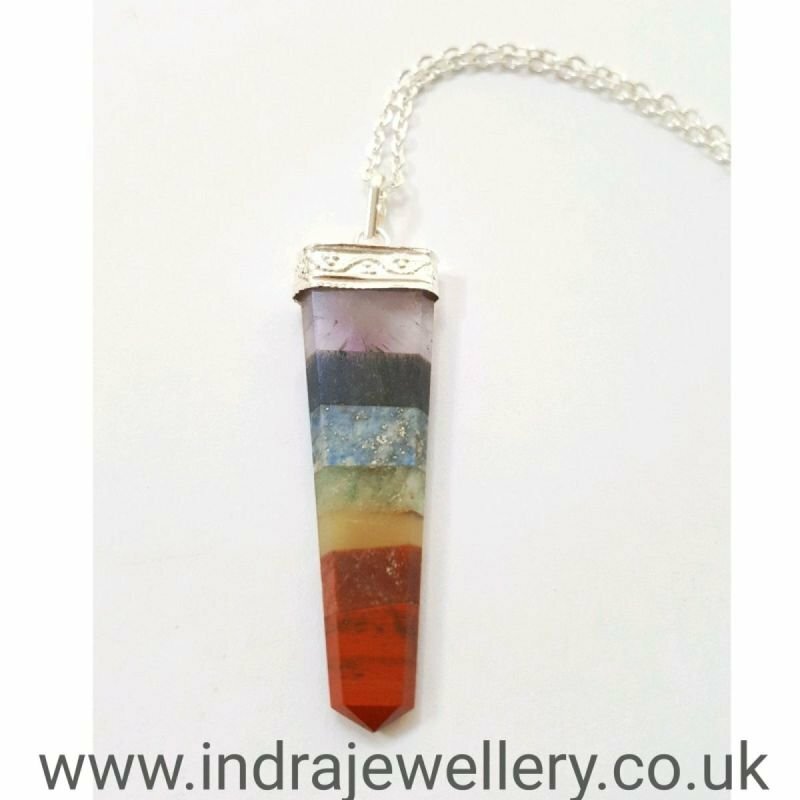 This is a beautiful gemstone necklace which has slices of gemstones bonded together to form this fabulous pendant representing the 7 chakra. The pendant measures 2" in length and 0.5" in width and I have attached it to a 20" silver plated chain. Chakra colors are typically broken down into seven and follow the order of the colors of the rainbow.